Line Set, 3/4in. insulation, 3/4in. suction line, 3/8in. liquid line, 25ft. DiversiTech Line Sets are individually packaged in sturdy corrugated cardboard, designed and tested for individual parcel shipment. Line Sets are designed for air conditioning and refrigeration systems. The copper tube is refrigeration grade tubing to ASTM B280. The suction line is pre-insulated with Armaflex AP pipe insulation. 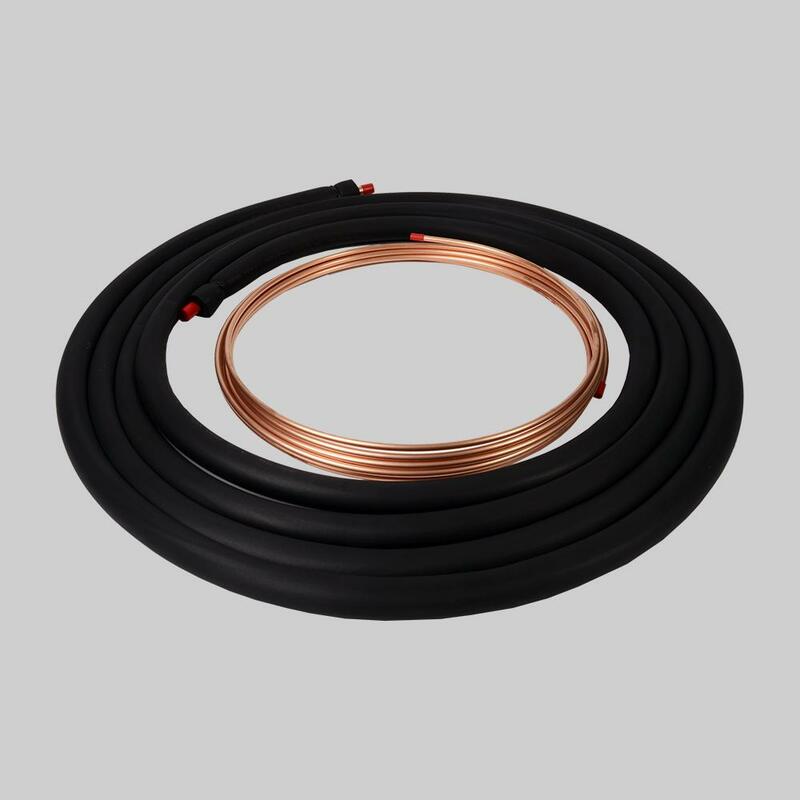 This insulation is a black flexible elastomeric thermal insulation. The expanded closed-cell structure makes it an efficient insulation. It is manufactured without the use of CFC’s, HFC’s or HCFC’s. AP Armaflex contains Microban® antimicrobial product protection for added defense against mold on the insulation. DiversiTech Min-Split Line Sets are similar to Standard Line Sets but come with additional insulation on the liquid line and flared line ends. 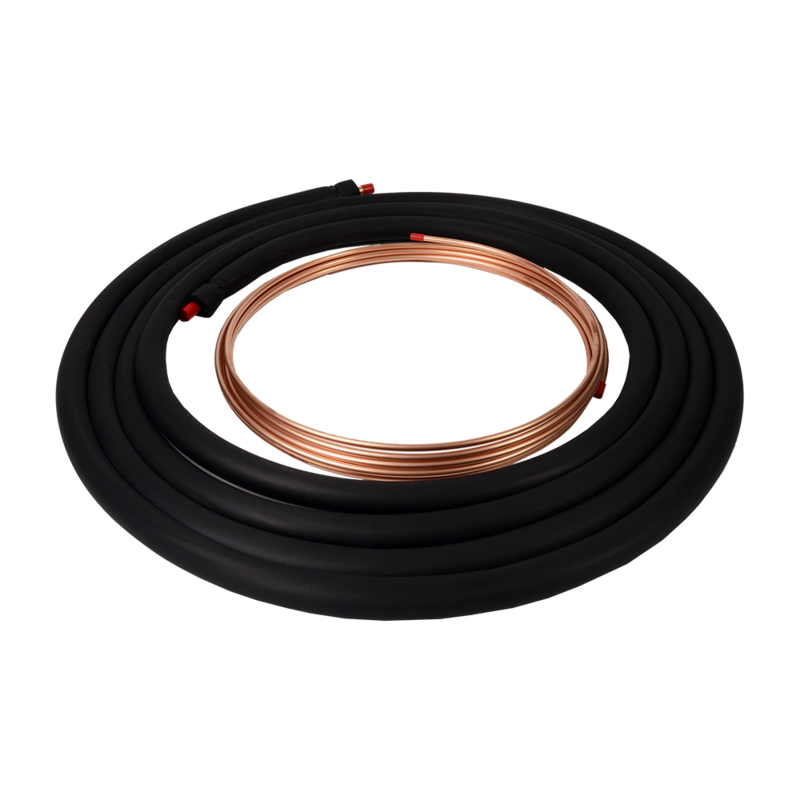 Copper tubing complies with ASTM B280 for Seamless Copper Tube for ACR. AP Armaflex insulation meets ASTM C534, Type I – Tubular Grade 1, ASTM E84, NFPA 255, UL723, CAN/ULC S102, UL94 5V-5A, V-O (E55798), NFPA 90A/90B, UL181, ASTM G21/C1338, ASTM G22, ASTM D1056 2B1, MIL-P-15280J form T, MIL-C-3133C grade SBE3, MEA 96-85-M, and City of LA RR7642. If ordering by pallet, 15 line sets are packed per pallet.